Welcome to, Midwest Grow Kits! We are one of the leading USA supplier of automated mushroom cultivation kits for use in mycological study, research, and various applications. We have grown leaps and bounds over the last 14 years! Our mission is to provide the shroom fanatic the easiest way to start growing mushrooms at home without any prior knowledge of how to grow shrooms! If you are new to growing and searching around you probably already know how much contradicting information there is out there on how to grow mushrooms. Every message board you read or video you watch contains different tips, methods and ideas on growing, which can get very overwhelming and confusing. All of our growing methods and kits are designed to get maximum yields with the ease of use in mind. We understand that most of our hobbyists have a full-time life and may not be able to constantly check on their grow every few hours. Our most popular kits are fully automated and take the worry out of growing! Consistent Quality is our mission and goal everyday. We have fine tuned almost all aspects of production and use only the best tried and tested ingredients. All of our jars and spawn bags varieties are 100% GUARANTEED against any sort of contamination. Our goal is to provide accessible, automated mushroom cultivation solutions to both professional researchers and hobbyists alike. We offer the public wholesale pricing on all our products! The internet is filled with over-priced kits and supplies. We know your hard earned dollars are important so every product we sell is priced well below the competition and at no sacrifice to quality! Our Ultimate Substrate Jars are absolutely the best you can purchase anywhere on the internet! We have grown our entire company around the quality of these jars! There are many sites selling jars that simply combine ingredients and ship them out. We have carefully selected the perfect mixture of ingredients based on the PF method of growing mushrooms. Over 10 years we have tried and tested hundreds of combinations and finally found the exact perfect recipe. All of us at Midwest Grow Kits are dedicated in providing you with the absolute best mushroom growing experience in the industry. We pride ourselves in knowing that we are producing top quality products at a low affordable cost, so that anyone can venture into the magic world of mushrooms. 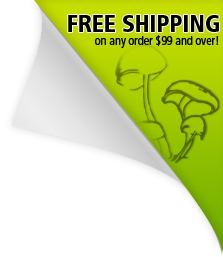 We supply every customer with an easy to follow and in-depth grow guide which covers everything from how to set up your mushroom kit to the best and most effective way on how to grow shrooms. Have fun and enjoy your mushroom growing experience!